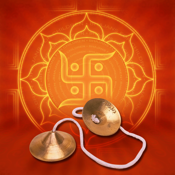 In this App you can find the most melodious and divine bhajans. 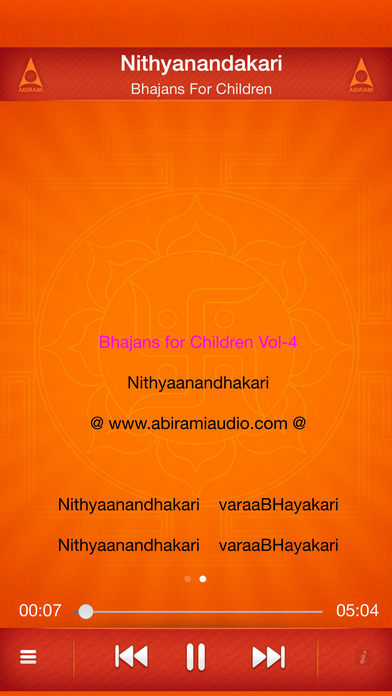 Rendered in a simple form to enhance the learning capabilities for kids. 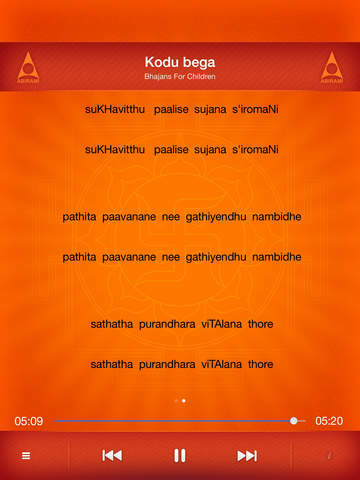 Smooth lyrics playing animation will help your kids to follow the bhajan in a easy manner.